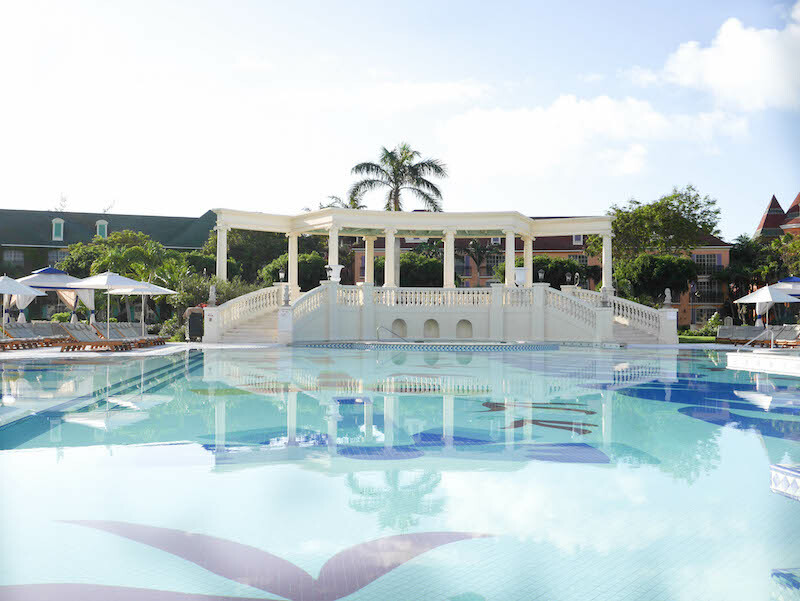 Choosing where to stay at Beaches Turks and Caicos can be a challenge for first-time guests and return visitors. The property offers 4 unique villages to choose from all with their own characteristics. Some friends of mine contend they would never book anything but the Italian Village while I personally prefer the Key West Village. 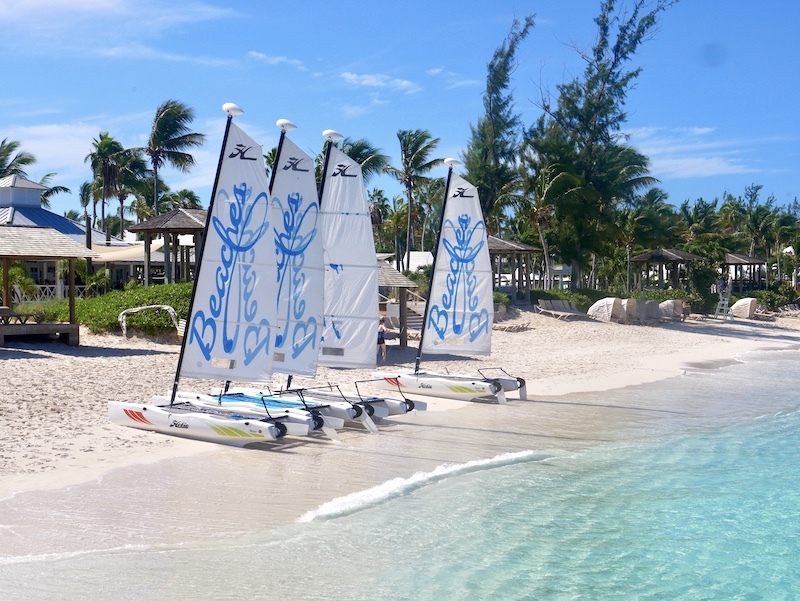 Which village at Beaches Turks and Caicos is that best fit for your family? Read on to see what you’ll love about each of the 4 villages. When determining where to stay at Beaches Turks and Caicos, it is important to know that the Caribbean Village is usually the most affordable option along with the French Village. Built first, the Caribbean Village of the resort tends to show its age a little but that doesn’t mean you should dismiss staying there. With great restaurants, a stellar pizza joint and some of the more active pools, the Caribbean Village is a great fit for families who want to be able to step outside their room to play basketball, volleyball and participate in other family-friendly sports and activities. It’s also the closest village to the Kids Camp for children ages 0-5. 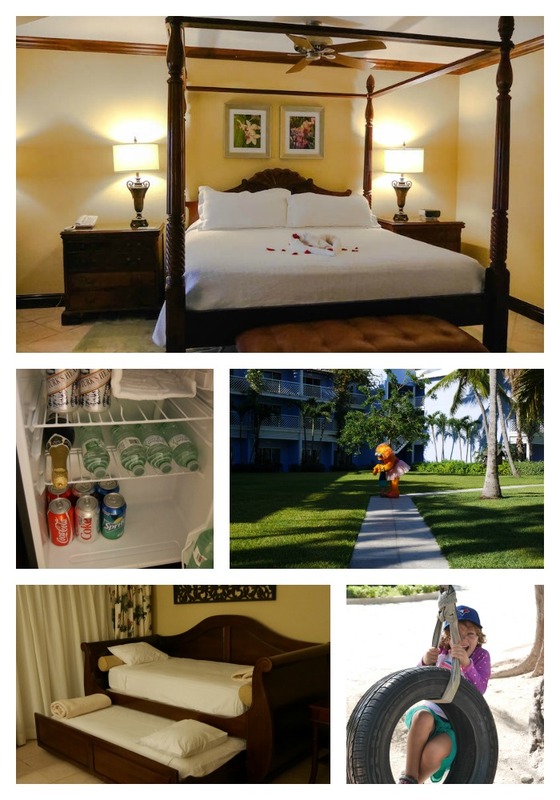 We recently stayed in a Junior Honeymoon Suite in the Caribbean Village and loved it. From our balcony, I was able to watch the kids play in the playground and it was a quick walk to the larger Italian Pool and Pirate Island Waterpark. What You’ll Love: Quiet; Close to beach and Kids Camp; Less crowded pools; Adult only hot tub overlooking the beach; Some of the best restaurants including Bella Napoli Pizzeria and Arizona’s; Closest to the famous Friday Night beach parties at Treasure Beach; Lots of family activities at your doorstep; Quick access to a fun playground. Much like the Caribbean Village, the French Village is also a more affordable option. Although the French Village is farthest from the beach it is closest to Pirate’s Island Waterpark. The French Village has a good bakery and coffee shop as well as the only adult only restaurant on the property. Parents with little ones love the proximity to the main stage where Sesame Characters perform almost nightly. The French Village also has a sizeable pool. What You’ll Love: Close to Waterpark and Main Stage; Close to some of the best restaurants on the property like Kimono’s and Le Petit Chateau; Large lawns for kids to play on with hammocks and a chess set; Quiet large pool; Close to Mac Daddy’s food truck and Curls and Swirls ice cream truck. Most people who stay in the Italian Village absolutely love it. 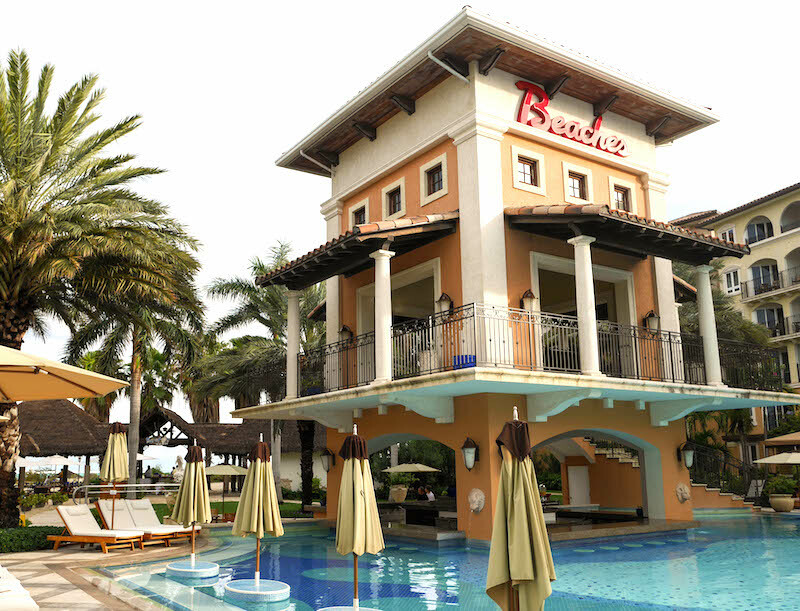 With ocean views and the largest pool, this is the epicenter of the resort. The rooms are newer and big enough for families of 5. Most people with teenagers also prefer the Italian Village. This village is closest to some of the better breakfast restaurants including Barefoot By the Sea where fresh food is served with your toes in the sand. From the concierge lobby in the Italian Village to the furnishings in the room, this village is an upgrade to a more luxurious experience and is a good fit for travelers who prefer modern hotels. Every room in the Italian Village has a separate room for children with a bunk bed that includes a pull-out trundle bed. The children’s rooms provide enough space for families to spread out and relax. The children’s rooms are closest to the hotel room door and may not be a good fit for smaller kids who sleepwalk or tend to wander. 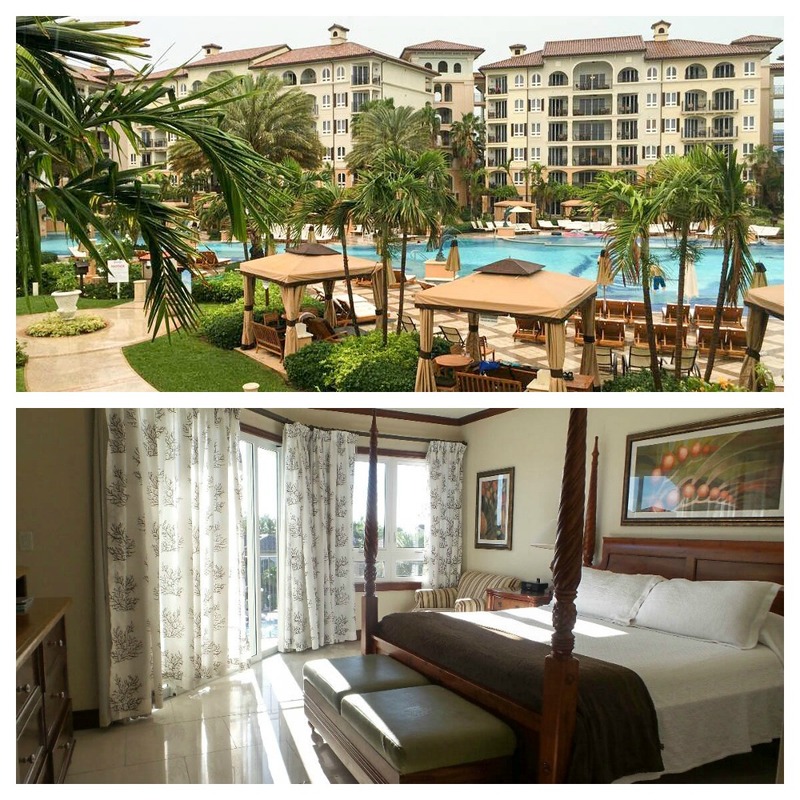 What You’ll Love: Located close to the beach and in center of the resort; Spectacular ocean views; Quick access to Pirate’s Island Waterpark; Separate room for children in all rooms; Luxurious furnishings. 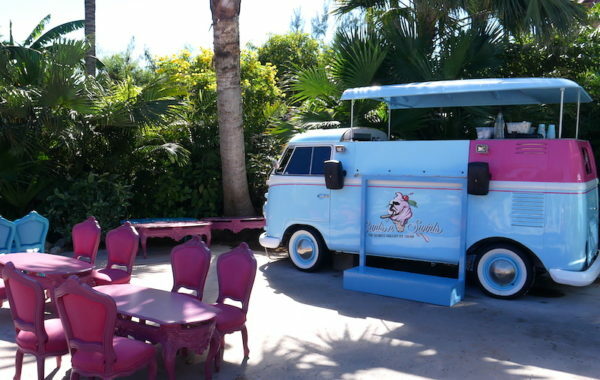 The newest addition to Beaches Turks and Caicos is the Key West Village. Capturing the laid-back attitude of Key West, this area of the resort is quieter and filled with green grass and gorgeous gardens. The lobby of the Key West Village is welcoming and luxurious and sets the tone for the rest of your stay. The rooms are clean and large with amenities not found in the other villages including kitchens and washer dryers. Staying in the Key West Village is a different experience than the other villages and is perfect for larger families or luxury travelers. The restaurants in the Key West Village all have beautiful ocean views. 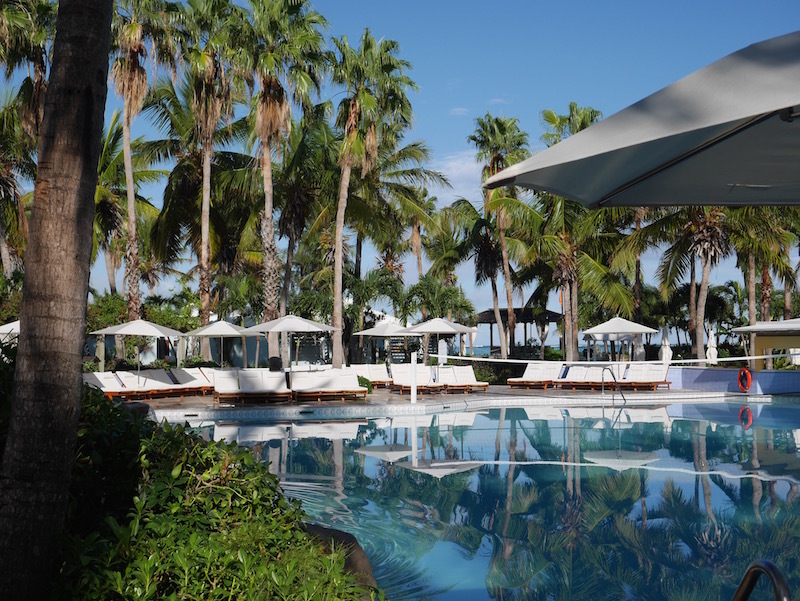 The Key West village has a few smaller pools that are never crowded. Families can relax in the sun and play in the pools often alone. 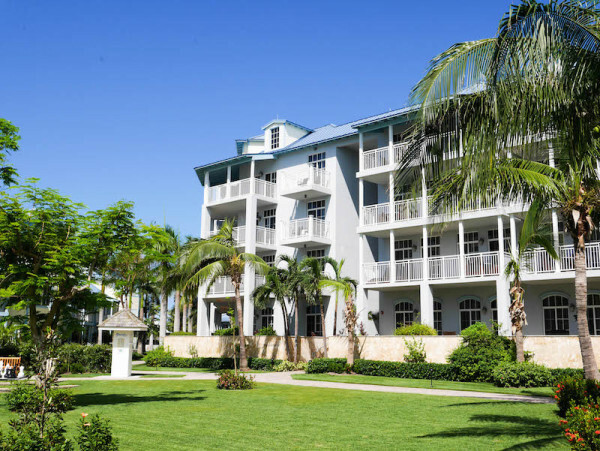 What You’ll Love: Clean new rooms; Washer Dryers and full kitchens; Ocean views; Lots of grass for kids to run and play; Luxurious furnishings; Easy to get away from busier sections of the resort. Although the decision can be a little confusing at times, I can assure you that you will love your vacation to Beaches Turks and Caicos. As always feel free to comment below or email me with any questions you may have at sarah@solomomtakesflight.com. 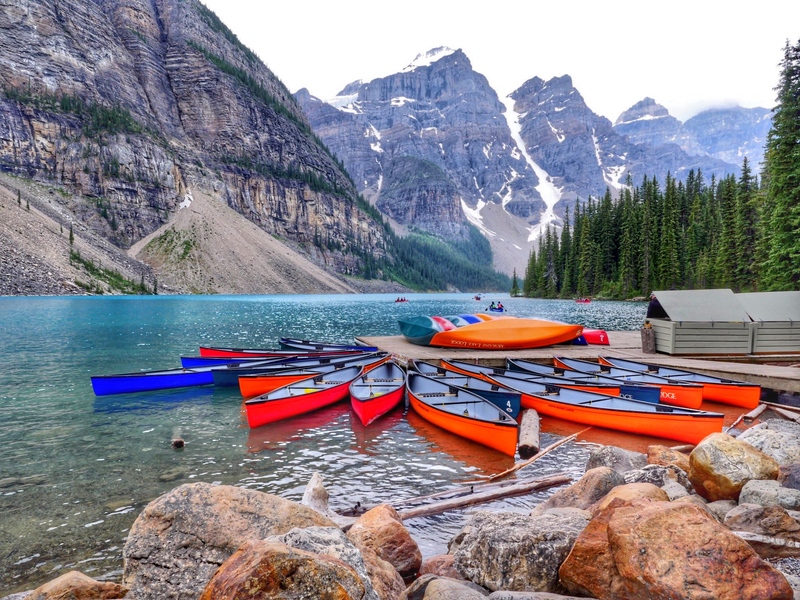 JOIN US IN OUR LUXE FAMILY TRIPS FACEBOOK GROUP WHERE WELL-TRAVELED PARENTS AND LUXURY FAMILY TRAVEL BLOGGERS INSPIRE EACH OTHER. Thanks for the informative post!! We have stayed in the Italian Village twice, but just couldn’t swing it this year. Thanks to your post, we just booked the French Village for a week at the end of April/early May!!! So excited!! You are soo helpful! Because of you we just booked our trip to stay in the right part of Beaches Turqs and Caicos! Amazing! Glad to hear it! Do you know anything regarding Keywest villa vs. Italian penthouse family suite? Hey MariAnn. 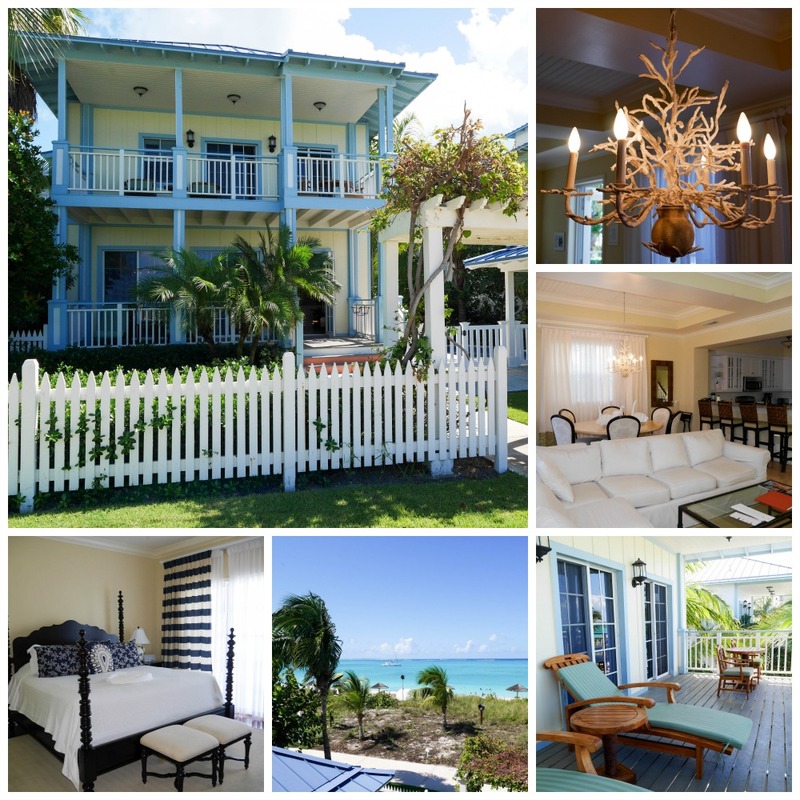 The Keywest villa is in a much quieter area and is a traditional house set up. There’s a big kitchen and dining area with bathroom on main floor. Traditional set up of bedrooms and another bath on second floor. Master suit on top floor. Lots of open patio space that looks out at the water and some have private pools. Really nice set up but quite set out from the rest of the resort. The penthouses are much more of a hotel room feel. Sitting with an incredible view of the water and close to the Italian pool they give you much more of the resort atmosphere. They also have the same furnishings as the rest of the Italian village with the choice to choose up to 4 bedrooms. It’s sort of a choice of how you like to vacation. The pros on both are luxury butler service, beautiful views and plenty of space. The cons on the Italian village are if you rely on the elevators they can get a little busy and the key west villas are just further out from the action. If I had to choose, I would pick Key West but I like the quieter vibe. Really after 10 pm, the Italian village is quite quiet too. Hope that helps. If you need more info let me know! Hi! I’m going to Turks and Caicos this spring! Is it a lot of walking from village to village or is there some sort of transportation? The villages are very close together. With young children you may want a stroller but it’s just a few minutes walk. There is also a fun kids train that drives around the property. Would you recommend a first floor walkout or a balcony in the Italian Village? I prefer the balcony rooms. The Italian Village pool is very busy and the higher rooms give you a break from it all. The Seaside village is part of the Caribbean village. The noise level will be the same as the Caribbean which on beach party nights can be quite loud.